NuBu's committed to our community! NuBu and it's community understand the workings of society, and that's why the health advice found here will always be, FRee! NuBu.org insist on closing the gap between body and mind, old and young, indifference and difference, we are in it together and bound to thrive! !Allow Awareness to grow into Consciousness! "Once I created my own herbal supplementing regiment, I regained control over my habits and finally started the new life-style I needed! 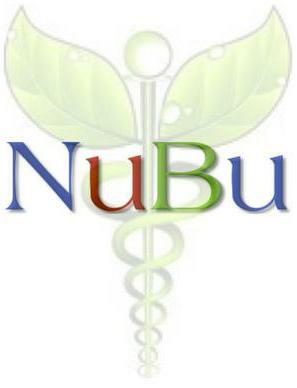 You saved my life NuBu I'm definitely passing on the word, Thank you!" Welcome to the #occupyconsciousness blog site. We are not affiliated with, yet, throughly connected to all other occupy movements. I have been meaning to convert this website and add VEGAN awareness though it hasn't been a top priority. Which is why the website is in shambles, that is neither here nor there, today a homie finally inspired me to commit to the blog. So many people have been inquiring about Veganism, the lifestyle associated with it and how to embark on a personal journey to end suffering. To end suffering in general. People have chosen to live a Vegan lifestyle for a variety of reasons, health, animal rights, spirituality, the list goes on. The best part, Vegans allow us to see a world of equity and consideration is possible. Theatrical and Applied Veganism may be different, yet both reduce the suffering caused by the level of historical animal consideration. Meaning the way we have learned to treat animals by history has leaked into our daily life. If we don't care about the life of our steak or pork chop or chicken breast, how can we say we care about the children's health. How can we say we care about the atmospheric climate change or land degradation taking place around the world. We have been lead by a distorted view of conservation, a old world anthropocentric view of the human's place in the environment. Another lifestyle is possible, all that is required it education. Thank you for educating yourself! I will post the email I sent to the homie in another blog, it will have basic information share it will others curious of change.